Not the Only Reason . . .
As more and more residents, who get their water from the Mohawk Valley Water Authority, buy water-efficient appliances, the authority is forced to look at continually raising rates. . . .
"When I came here 16 years ago, the average customer, the whole household used 80,000 to 100,000 gallons a year," [MVWA Executive Director Patrick Becher] said. "That's down to 50,000 gallons a year. We've been seeing a two to three percent declined in actual water sales, which is troublesome because our costs don't go down to operate the system." Undoubtedly there is some truth to Mr. Becher's assertion that water-efficient appliances contribute to a decline in demand. But is Mr. Becher ignoring the "elephant" in the room -- the Oneida County Sewer District -- whose charges have caused the bottom lines of all of our quarterly water bills to balloon? Since Mr. Becher does not control the County charges, he may be forgiven for overlooking their effect . . . but we homeowners cannot. The County signed the Consent Order, the County determined that a new sewer interceptor and expansion of the Wastewater Treatment Plant were necessary for economic development, and the County passed ITS costs on to the water users. When it costs a small fortune to water your lawn or garden, or wash your car, you stop doing those things, even in times of drought like we had during 2012. When you can no longer afford your water-using business (due to rates/taxes/regulations etc. ), you leave town. And demand for water drops. Our local government is so fragmented functionally and geographically that the right hand doesn't know what the left is doing -- making it incapable of adequately responding to the needs of the average citizen or small business. For every action taken by one part there is a reaction elsewhere. While the reason for the story seems to be a set up for higher water rates, the more likely motivation is MVWA's recent application to DEC (buried in the legal notices last week) to expand its service territory to include all of the Towns of Frankfort, Schuyler, Kirkland, and Westmoreland. We probably will hear that MVWA needs to do this to get new customers to offset the decline in demand. See http://www.dec.ny.gov/enb/20131218_reg6.html#699060001700001 (scroll down to multiple counties). The comment period expires 1/17/14 -- just in time for Christmas, New Years, and the ML King holidays! I'll post more on this later. Innocent Victims . . .
A $2 million settlement has been reached to resolve the wrongful death lawsuit against the City of Utica stemming from police Investigator Joseph Longo's murder of his wife in 2009. . . . The lawsuit stems from Longo's killing of his wife, Kristin Palumbo-Longo, before he stabbed himself to death Sept. 28, 2009, inside their Deerfield home on Cosby Manor Road. Mr. Longo's actions left his 4 children motherless, fatherless, and without a means of support. This is a real tragedy. One's heart cannot help but to go out to the innocent victims, the children. 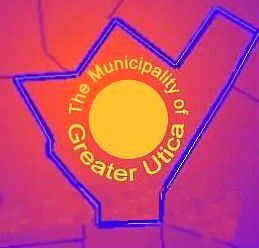 But now the Taxpayers of the City of Utica are somehow on the hook for $2 Million. That's over $30 for each resident, over $100 for each family. How did this happen? What did UPD do wrong? UPD took Inv. Longo's guns. . . . UPD confined him to a desk job . . . UPD insisted on counseling . . . But the Longo family insists that UPD did "not do everything it could." But what more could UPD have been done? What more was UPD obliged to do? The article speaks of cronyism . . . but that's nothing new . . . or unusual in any government agency. How did cronyism cause these deaths? The article suggests that UPD could have done an internal investigation regarding allegations of officer-involved domestic violence . . . But what would have been the outcome? How would that prevent what happened? The article suggests a "fitness-for-duty psychiatric evaluation" . . . But how would that have changed things? Assuming that Mr. Longo was unfit for duty, what would have been the result? Discharge from his job? How would that have helped the marital maelstrom seemingly at the center of this sad story? Somehow the UPD is the target of the suit. But the UPD was merely Mr. Longo's employer. The crime occurred in Deerfield. UPD has no jurisdiction in Deerfield. Other police agencies cover Deerfield. If someone feels that he or she is in danger from another person, and no satisfaction is obtained from the other person's employer, should not he or she have taken other measures of self-protection? When does the Taxpayer become responsible for the criminal acts of another person? Perhaps the Mayor is right to have settled this suit. With four innocent children, who knows what the outcome of a trial would have been. The damages could potentially be a lot higher. But does that not say something troubling about our legal system? Utica Taxpayers did not cause the Palumbo-Longo dischord. Utica Taxpayers did not cause Mr. Longo's mental state. Utica Taxpayers did not give Mr. Longo the knife. And Utica Taxpayers did not commit the stabbing. But Utica Taxpayers are now forced to pay for this crime. Evil created innocent victims here: The four children . . . And the Taxpayers of the City of Utica. Home . . . . Again! Finally, after YEARS of blogging on this issue, Greater Utica's premier booster organization gets it right! THANK YOU, GREATER UTICA CHAMBER OF COMMERCE! Why I DON'T Believe in Common Core . . . In the NY Daily News a couple days ago was an article "Why I Believe in the Common Core" by Brett Peiser, CEO of "Uncommon Schools." "The parents of our students understand that, contrary to the criticisms levied by a small contingent of opponents of the Core, the new academic standards are about establishing and teaching the skills and knowledge our students need to be ready for college-level work - not about high-stakes testing. . . .
Our country ranks behind too many others in international rankings of math and reading proficiency. Our schools have simply not been preparing children for college well enough, and we all need to do better. Common Core is part of that solution . . . Common Core challenges teachers and students to get to the "why" behind how things work. So, it's not just learning that 3 x 5 = 15, but how and why that is true. It's a chance for students to become deeper and more critical thinkers. . . .
What's wrong with asking a third grader to figure out multiple ways of solving 12 times 8 or 36 divided by 4? What's wrong with asking a seventh grader to write an essay comparing two similar newspaper articles and how each author approached the same topic? What's wrong with asking any student to cite the evidence behind their answer?" Mr. Peiser has mastered word-smithing well. . . . suggesting those in agreement have higher "understanding" while marginalizing the opposition as a "small contingent" focused on trivialities. . . . citing conditions and aspirations that no one disagrees with . . . and, with the reader hopefully roped-in, presenting Common Core as the salvation. If you had to rely solely upon the contents of Mr. Peiser's "informational text" for data and had no independent knowledge to draw upon, you would probably think that you now know all you need to know about the issue and accept his position as true. Of course, Mr. Peiser is banking on you being ignorant . . . and that should make you angry! It would be easy to marginalize Mr. Peiser's article as a crock by someone in a position to gain financially . . . but that avoids the substance. The bottom line is that we all want our students to be able to think critically . . . but can you have critical thinking without something to think critically about? In the past we equipped our students with a "storehouse of knowledge" -- things most people could agree upon: math facts and basic skills, history of our country and the functions of its government, basic principles of science, geography, world history, etc. That "storehouse" is the substance of critical thinking -- but it is now dismissed by Common Core proponents as "rote learning." Why teach 10 ways to do multiplication when one SIMPLE "tried and true" way works and, once mastered, comes up with the right answer every time? The end result of the new approach is that NO way is mastered -- and students don't know when they've come up with the wrong answer. How can there be "understanding" of math without that storehouse of knowledge including math facts? If you know nothing, there is nothing to understand! The evil here is Common Core's emphasis on performance rather than knowledge (The same was true for Outcome Based Education, the Regents' "higher" standards of the late 90s, and a bunch of other reforms). By depriving our students of that "storehouse of knowledge" held in common with each other and with older generations, communications with the older generation becomes difficult, communications among different disciplines becomes difficult. . . . And this makes it easy to reprogram students, and eventually a population, using "informational texts" for whatever is the ideology of the day. Example: If you knew nothing about the ice ages, multiple advances and retreats of ice, geologic changes in sea levels, the Vikings farming of Greenland, etc., you would be less likely to be a skeptic, and more likely to accept the "consensus" than humans are causing climate change. Which scenario (the acceptance, or being a skeptic) best represents "critical thinking?" What does Common Core fill student's heads with besides mindless exercises in processing information? At our schools, we inspired our students to "show what you know" on test day. Our students discussed Michael Jordan's career and how often he failed on his road to success, and that he was never deterred. Our students loved coming to school in Michael Jordan T-shirts during the exams. As the week wore on, one of our third graders wrote in a reflection about the challenging questions: "I just knew I wasn't going to give up." Michael Jordan's career might be inspirational and give students something to talk or write about, but it is trivial in the larger scheme of things and spending a week on it is a waste of time. It is not the "knowledge" the students will need to succeed in the future . . . and not the knowledge that society needs to maintain itself and help it to evolve in the future as new challenges arise. Flying High - - But Not Here . . .
". . . the newest FBO to join the chain is a facility at Orlando Sanford International Airport. The facility is operated by Freeman Holdings Group, the ninth Freeman location in the Million Air chain. Freeman CEO Scott Freeman calls the Million Air addition a strategic move for the company that operators facilities stretching from California to New York. . . . As part of the addition, the facility is undergoing a $3.5 million renovation that including stripping the facility’s 10,000-ft. attached hangar down to the structural steel and rebuilding. The 7,000-sq.-ft. terminal building is also undergoing upgrades that will include some of the Million Air-standard features, along with a range of amenities such as a theater, flight planning room and executive conference room." Wow . . . that's lots of money . . . and a theater? and an executive conference room? Think Mr. Freeman will be doing this at Griffiss? "“If you overpay for your property, you can’t make money ... or you charge ridiculous fuel prices.”"
With its highest sales tax, Oneida County is already behind the curve on keeping Million Air's fuel prices low. How are other costs at Griffiss compared to elsewhere? There is a special utility company there that pays some lush salaries for a small operation. Are its costs lower? If it costs too much to do business here, the customers . . . and business expenditures to attract them . . . will go elsewhere. Democrats and progressive Republicans like John McCain who want to supply arms to Syrian rebels had better wake up. Your browser does not support iframes. 'Rome Sentinel: County executive, mayor back missle system. Oneida County Executive Anthony J. Picente Jr. and Rome Mayor Joseph R. Fusco have sent a letter to Secretary of Defense Chuck Hagel requesting that Griffiss International Airport be considered for a new multi-billion dollar missile defense system on the East Coast. That's nice, but does Griffiss "International" qualify? ... would contain launch stations (silos), Interceptor Receiving and Processing Building, Interceptor Storage Facilities, and additional support facilities. Approximately 243 hectares (600 acres) would be required to support the GBI missile field and associated technical facilities. When the GBI site and associated technical facilities become fully operational, total site related employment would be approximately 150 to 200 personnel. Explosive Safety Quantity-Distance (ESQD) criteria would be used to establish safe distances from explosive hazard areas, such as solid propellants, to nonrelated facilities and roadways. These regulations are established by the Department of Defense. For the GBI silos, there would be a minimum 380-meter (1,250-foot) ESQD from inhabited buildings. In addition, the Interceptor Receiving and Processing Building and the Interceptor Storage Facilities would also have a 380-meter (1,250-foot) ESQD from inhabited buildings. Six hundred acres is almost a square mile, which is a lot of space. Perhaps more restrictive is the 1,250 minimum distance required from inhabited buildings for each silo. Just what can be fit into Griffiss "International" Airport? When you get down to it, is it really worth taking up all this space -- and (again) making us a prime target for intercontentinental missiles -- for a mere 150 to 200 jobs? That's only 1/4 to 1/3 of a job per acre! Ball-istic . . . or Un-Real-istic? Taking on the Army . . .
Army Corps of Engineers, that is! There's more in the Observer-Dispatch. THIS needed to be done years ago by a former Republican Congressman who was on the House Armed Services Committee . . . when we had a Republican President and a Republican Governor . . . The odds would have seemed to have been in favor at that time for the Marcy Nanocenter site to get a federal wetlands permit. . . . But then, again, perhaps it was the last mentioned Republican and his former Republican NYS Senate Majority leader that kept the former Republican Congressman from saying what had to be said (if he said anything, we did not hear of it). Nevertheless, hats are off to Mr. Hanna for doing a great job in putting the heat on the A.C.E.! Things really have gotten out of control with both ACE and the EPA, with the Federal Government's reach extending far beyond what our Founding Fathers had planned for the Federal system. A.C.E. also is overreaching even within the context of its own regulations. I already blogged about that last summer, so refer to the article for the legal context : Marcy NanoCenter in the Balance Pt. 1. In a nutshell, ACE is trying to change the purpose of the NanoCenter Project without the statutory authority to do so. Undoubtedly, the General will return to his legal team and get justification for the overreaching that has been done in the past, and will likely continue in the future, until some white knight takes up the gauntlet and takes ACE to court. That is unlikely to be done by Oneida County, and perhaps shouldn't be done given the money the region has already wasted on legal maneuvering in the past (MVWA v Canal Corp, The NYRI proposal come immediately to mind). We can only hope that with continued political pressure, A.C.E will come to understand that it is really pushing the envelope where the law is concerned, and that if it pushes too far, at some point a decision will come down somewhere that will severely undercut Federal Authority everywhere. Strange NH Public Library . . . But don't expect to figure out the headline by reading the rambling article with snippets of conversations thrown in. Frankly, the article reads like it was either highly massaged to make certain people look good, or it was written by a committee. If you want the straight scoop on the New Hartford Public Library shenanigans, always visit New Hartford Online Blog. Here is the LATEST.... about poo poo. Pie In The Sky . . .
"The FAA's background information also said the site must be within 150 miles of New York City . . ."
Read the specs guys! Griffiss does not qualify. Wonder how much $$$ the taxpayers will be expected to cough up to "lure" this non-starter to O.C.? It's sorta like trying to put a nanocenter in a federal wetland! Gordon seems to have learned something our Mohawk Valley Chamber of Commerce has not: The "Utica" name places the facility on a map, which is important for marketing, particularly in a geographic-sensitive industry like transportation. Look it up on the link provided. County Competence . . .
Oneida County 911 center seeks help with budget. New York collects $1.20 per month on cellphone bills, and local officials say the roughly $190 million collected is supposed to be distributed to the many local 911 centers in the state. But as explained in the article, the local officials got it wrong. There was never a guarantee that the money from that $1.20 charge would go to the county's 911 center. In fact, it can be argued that the county has already benefited from the $1.20 charge because it "won" the Homeland Security training center occupying the old OC Airport since Homeland Security is partially supported by that charge. Sounds like the County expanded 911 without knowing how to pay for it . . . and now it is the State's fault? Work has already been completed on roads and water and sewer lines, but without the wetlands permit, the site can't be made shovel-ready. . . . EDGE is consulting with legal counsel and federal, state, and local officials to find out where to go from here. Meanwhile the County has doubled down committing more money to infrastructure using the non-permitted nano-center as justification, including hitting up the State for a cool $5 million and hitting up sewer users for another $7 mil. This money is just piled on top of millions more spent while they've known of the permit problem for 8 years! Is it smart to prepare a site that might never get a permit? Griffis International Airport is taking steps to line up its own air traffic control tower operator should the Federal Aviation Administration make good on its plan ot end tower funding June 15 . . .
More taxpayer money thrown at an "International" airport with no scheduled flights -- on top of $10s of millions already spent on this white elephant. It seems every 3 months there is a new need to tap the taxpayers. At some point you just have to scratch your head and ask: Does anyone in County government do more than a half-[baked] analysis before getting us deeper into these schemes? But wait, it gets much much worse . . .